Have you ever had silk charmeuse and chiffon slither away from you, oblivious of the feed dog traction, or struggled to sew a bulky denim or wool seam or quilt? There is a little known option for your sewing machine that will make all of your struggles with challenging fabrics go much easier. It’s the pressure dial for the presser foot. Not to be confused with the tension dial for your needle thread. The dial could be on the left side, on the top, inside the side cover of your machine or even on screen if your machine is computerized. It might be marked with a picture of a presser foot. Maybe some arrows pointing down under the presser foot picture and can range from 1 to 7 depending on the size of your machine. Seven being the most amount of pressure. 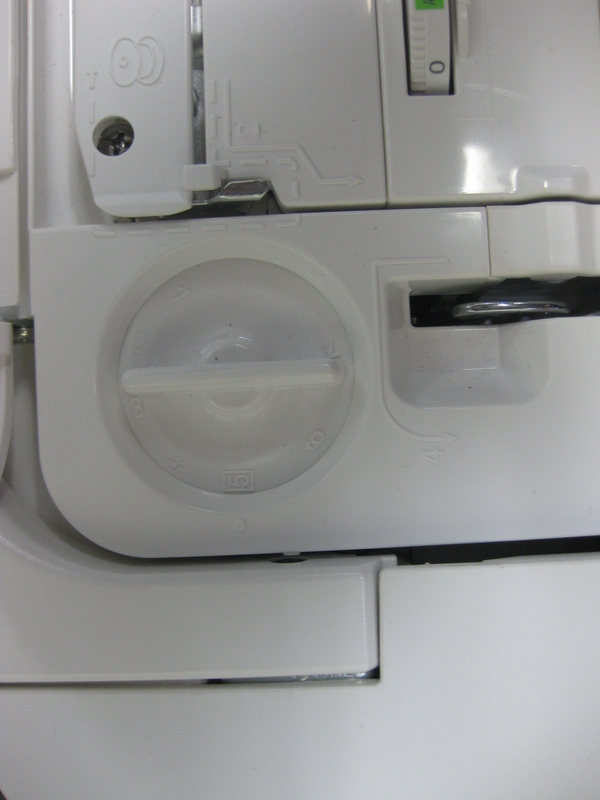 On your serger or coverstitch, its on top and needs be turned with a screwdriver. Righty tighty, lefty loosey! Adjust the presser foot pressure according to your fabric. For heavier fabrics, less pressure is better, to allow the fabric to feed easily between the presser foot and the feed dogs. For lighter fabrics, increase the pressure, so the presser foot holds the fabric securely to the feed dogs and keeps it from sliding away. As with all adjustments, do a test! It’s amazing what this simple trick can do for your final sewing project. Stitches will be smoother, more even, and you will have more control of the fabric! Educational Consultant for Janome Canada Ltd. 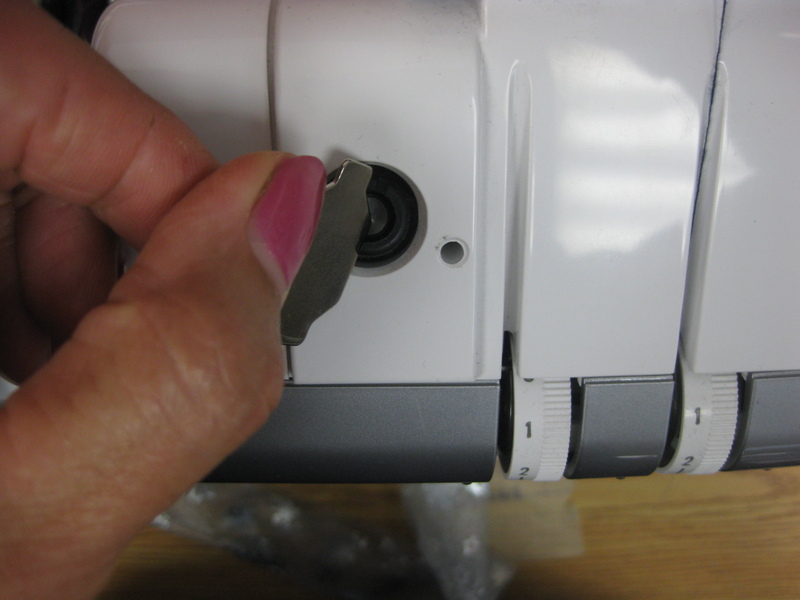 This entry was posted in 1200D Serger, Janome Quilting Machines & accessories, JANOME SERGERS, Serger, Sewing, Sewing News and tagged Presser foot pressure, serger pressure, sewing machine pressure, why do I need to adjust my foot pressure. Bookmark the permalink. 4 Responses to Best Kept Secret on Your Sewing Machine (and Serger)! I’m not sure I know exactly what effect you wish to create. My suggestion would be that you experiment with your machine stitches. Don’t forget that you can change SW and SL settings to get a very wide range of results. Your Janome 8900 has a lot of stitches which will more then likely be suitable. I was replacing a zipper in a fleece jacket and was having trouble with puckering. When I lessoned the pressure on the foot, my topstitching was perfect! So glad to hear that, Christina. Was a great tip from Linda.